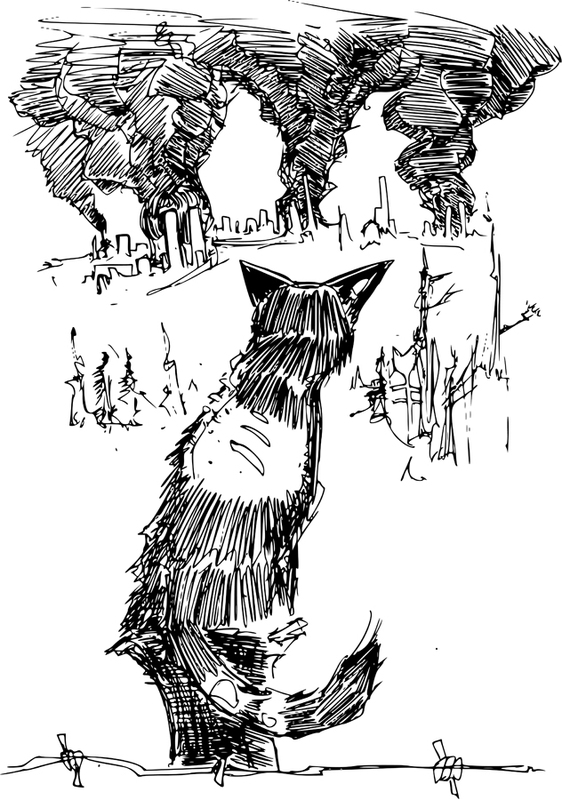 When the world ends and the bombs drop and the infection spreads and decimates everyone, you can be sure that the zombie cats will have some of the best seats in the house to watch it all burn away. You could bet that those cute undead kitty cats had something to do with a couple of those fires too. This creepy little kitten has a great view of the burning city, perched on an old barbed wire fence post. 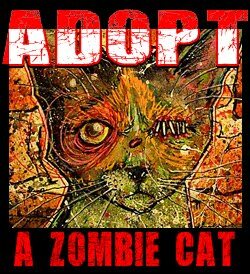 If you like this original zombie cat artwork and would like to own it, check out the store here, if you want this as a tshirt, here's your link.